1. Preheat oven to 350ºF. Combine all ingredients in a large bowl and mix to combine. 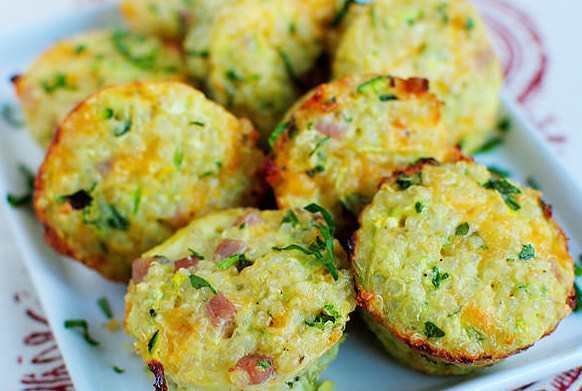 Liberally spray a mini mufﬁn tin with nonstick spray or olive oil and spoon mixture to the top of each cup. 3. Let cool for 5 minutes before removing from the mini mufﬁn tin, then serve and enjoy! 4. To freeze: Place baked cups on a baking sheet, then freeze until skid and transfer to a freezer bag. To eat, microwave for 20-40 seconds. what is the container count for these? Hi Heather – This recipe is for 28 mini muffins…enjoy!